How to add street appeal and creating that ‘wow’ factor for your front garden. All a front garden needs to have amazing street appeal is a carefully thought out design. A design that incorporates the softening elements of planting to compliment the house and the people inside. Investing in the design process will allow you to discuss each element of the garden and how it will work for you. A garden with plants that look vibrant, lush and tendered to. 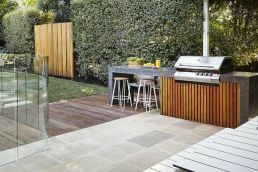 You don’t need a massive budget for the front yard, generally access is good and minimal materials are required. 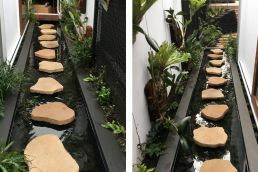 Many Councils regulations restrict major construction in the front yard so sticking to some of the key elements above will see your front garden transform into the one that neighbours stop at and admire. Invest in the design process, enjoy the build as the project comes together and enjoy coming home each day to an amazing space. A common compliment we get when we have designed and built a new front garden is “our neighbours often stop and admire the garden and tell us how great it looks”.